Target and Walmart, you can get all the things you need for less. Are you in charge of maintaining the stock of office supplies at work? Show your boss how Cards2Cash works, and you’ll instantly be the hero for saving money while still buying the exact same quality and quantity of brand name products as before. Does your child have a back-to-school list that seems to be getting longer and more expensive every year? 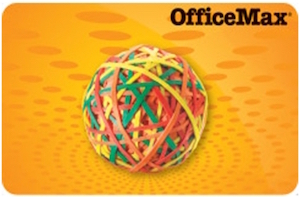 If so, you’re not alone, but when you purchase our office supplies gift cards which are priced below face value through Cards2Cash, you can buy more for less. This includes high price tag items such as graphing calculators and other electronics such as laptops and printers. If crafting is your thing, you already know that office supply stores frequently carry your favorite arts and crafts products. From sharpies and paper cutters to scrapbooking supplies and sketch pads, children and adults alike can work on their creative masterpieces without breaking the bank. And if you’re on an organizational kick at home or in the office, you can buy everything you need to get organized, such as file folders, dry erase boards and more, using discounted gift cards from Cards2Cash.